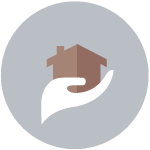 Provide your residents’ with a healthier community. At Eco-Clean, we understand the importance of keeping a neat and clean neighborhood and the significance this has on the health and safety of your residents. Dirty trash bins can pose potential health risks; not to mention the eyesore and terrible odors that come along with them. Eco-Clean comes right to your development or community with our fully-automated truck and cleans your residents’ trash bins, leaving them looking and smelling brand-new; all in an eco-friendly, simple process. Maintain that clean curb appeal your strive for, while reducing unpleasant odors and preventing health risks that arise from bacteria, pests and mosquitoes. 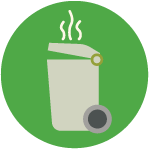 We wash, sanitize, and maintain trash bins so your residents don’t have to. 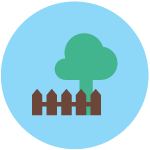 We protect your community and the environment by using EcoLogo certified green products. We leave your residents’ bins squeaky clean using a high-pressure hot water wash.
We deodorize the bins so they smell brand-new. We help deter those pesky undesirables. 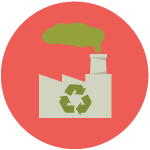 We recycle all wash water at a local treatment plant, all while complying with EPA regulations. We work with you to make scheduling and maintenance as simple as possible. Does your HOA need a trash bin cleaning service? A clean and healthy neighborhood is paramount. Make a positive impact on your community, and avoid unwanted smells and eyesores. Storing trash bins in a garage or close to the home is sometimes necessary. Clean bins can prevent dangerous viruses and bacteria, and rodents from entering the home. 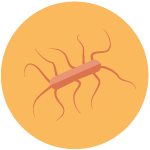 Have you noticed some undesirables (maggots, flies, squirrels, mosquitos) making a home in your residents’ bins? A dirty bin could be the root of all those troubles. Provide your residents a clean and healthy community. We take the dirty water with us. Do you think your HOA needs our trash bin cleaning service? Sign-up now!